I believe that one telling characteristic of a person is the music they enjoy. So how could I not feel the same way about my characters? I think about how Ariel likes popular indie music, usually by female artists, just like I think about how she likes sushi and yoga and the color blue. For me, this is part of the process of getting to know her. When my books appear on Kindle, I link the song title in my text to the chance to purchase it on Amazon. My other electronic versions are distributed through Smashwords where no such link is allowed. I’ve tried various other approaches with my other books, but with d4 I’ve finally found the approach I like best. For every song, I’ve found a live performance that I think shows a little of a the personality of the singer and the band. I’ll admit that I’ve had a lot of fun seeking these out. Often the quality of the video isn’t as good as the more glossy clips, but I’ve picked each one for a reason. I have removed the references to the music in the paperback version, but both the songs and their context within the story can be found below. Interested readers who do seek out these links are encouraged to support the artists and websites. links to places to buy the music and/or learn more about it. 1. (From Chapter 6) The work portion of the trip would all be at the end, so Ariel tried to enjoy the beginning of her little vacation. She packed a few good books and her warmest clothes, and delighted in a window seat as she watched the late afternoon sun set on her way into Iceland. She found a favorite song on her mp3 player and listened to the pretty shimmer of Ellie Goulding’s voice singing “Lights” as the giant Vatnajökull glacier gleamed beneath her when the plane dipped below the clouds. Ariel thought that perhaps she had never seen anything so beautiful as the various shades of blues that glistened off of the ice in the light of a sun moving low in the winter sky while the song played softly in her mind. Ariel stepped off the plane to her first view of the barren rocks mottled with bright colored lichens at make up the tundra. She had never set foot inside of the Arctic Circle before. Tiny flickers and flashes erupted as her boot touched the ground. I just love Ellie Goulding’s very human introduction to her song “Lights” at the 2014 Coachella Music & Arts Festival Weekend Two in Indio, California. Hopefully you will too. Listen to or buy Ellie Goulding’s “Lights” at amazon.com/Lights-Single-Version/dp/B004PVH8I2. “Thanks.” Siarnaq said no more. Ariel felt sadder than she expected she would when she hugged Siarnaq goodbye, and once she was on the plane she found herself gazing at Greenland’s white coastline as it receded in the distance. Lykke Li’s “I Follow Rivers” came on as she hit the “On” button on her mp3 player, and Ariel wondered idly if she could possibly enjoy life as an Inuit. Was she capable of following Siarnaq? Was she capable of following anyone? As the song ended, Greenland was nothing more than a tiny white dot on her horizon and she had no answers. For for Lykke Li’s “I follow Rivers”, however, I discovered a wonderful German site called ZeitOnline. Among many other things, they offer these simple performances by the artist in an ordinary setting. I’ve fallen in love with their style. It is extra fun that my main character’s full name is Ariel Zeitman. Weird or what? Check out this totally unpretentious version of “I Follow Rivers” performed with only a lone guitar, a hand held percussion instrument, and a fellow singer who claps along to keep time. Can you imagine running into this group performing on the sidewalk? Listen to or buy Lykke Li’s “I Follow Rivers” at amazon.com/I-Follow-Rivers/dp/B004KRT4KQ. 3. (From Chapter 14) Over the next week a disgruntled Ariel spent a fair amount of time rereading the documents that Toby had given her while she tried to figure out the best way to send information back. She’d just walked away from a man with whom she had a special—no, make that a truly a unique relationship—and she’d done it based not only on how personally distasteful she found Baldur, but also because of Toby’s assurances that Baldur was hell-bent on taking over the world’s economy. For Lana Del Rey’s haunting Summertime Sadness I found this wonderful clip from her Paradise Tour in 2013. She’s performing in Frankfurt and her mike goes out near the start of the song. It is amazing to watch her recover her composure, stop the band, and then ask the audience to help her out by singing along with her loudly as she starts up again. Of course they oblige, making for an interesting variation on this wonderful song. Enjoy it here. 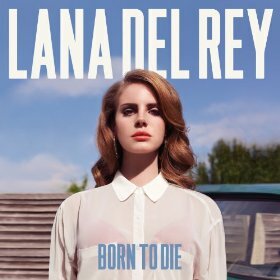 Listen to or buy Lana Del Ray’s “Summertime Sadness” at amazon.com. 4. (From Chapter 15) Ariel both reasoned and premembered that the less time she spent in Iceland the better. It was a real shame, because the country itself was gorgeous and the people outside of Baldur’s boardroom were friendly and welcoming. She’d turned on her music so she wouldn’t have to make conversation, and she had to smile when one of her favorite songs began to play. Arcade Fire’s “Sprawl II” was a melodic worry about endless strip malls covering the earth, and the beauty of the scenery she was driving past could not have been a better antidote to those concerns. Ariel turned up the volume, put her phone away and simply enjoyed the views for the rest of the trip. Once they arrived, they were met by their assigned host and taken to an ultramodern lounge where they could shower privately and change into swimwear. Ariel studied the famous murky turquoise water as they walked, and the combination of all the shades of blue and green in the mist created a feeling of wonder unlike anywhere she had ever been. She marveled at the many small geysers that shot into the air and at the sheer size of the stunning lagoon. She’d already been told that there would be a catered lunch, time to relax in the healing waters, individual massages and skin treatments, and more spa time before the group headed to what was certain to be a lavish dinner. Under other circumstances, this could have easily been the best day at work ever. In the case of Arcade Fire, I had the great good fortune to see them perform at the Cynthia Woods Mitchell Pavilion outside of Houston in April 2014. The entire concert was amazing, but the performance of Sprawl II (Mountains Beyond Mountains), with so many talented musicians on stage all singing in harmony and playing more varied instruments than I had ever seen used for one song, well, it was was one of my most incredible concert experiences. I knew then that this song would find its way into d4, and that I would find a clip from the show I had seen, or a performance very close to it. Well, I never found the video from the Woodlands concert, but this one from their performance at the 2014 Glastonbury Festival two months later could have been it. Enjoy! 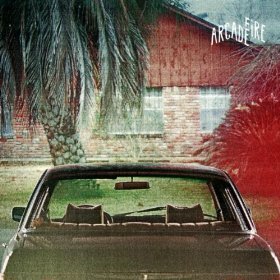 You can buy Arcade Fire’s “Sprawl II” at amazon.com. 5. (From Chapter 18) “Fine.” Ariel’s tone was colder already, and they said very little while the valet got the car. “Was this whole weekend just so you’d have something to do while you waited for this meeting?” she asked as she pulled out into traffic. 6. (From Chapter 20) Once he was inside her apartment, he waited patiently. She wondered what his instructions were if she ran. She saw no point in finding out. Going to work for Baldur was exactly what she needed to do right now. 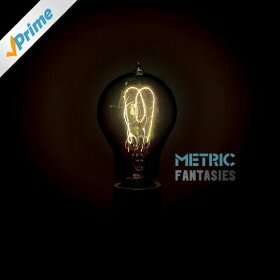 There were a couple of songs by Metric that I wanted Ariel to appreciate in my novel, but I finally narrowed it down to this wonderful ode to there never being enough. It fit the theme of my book so well. For my link I picked this live performance in Montreal in 2012. It’s a simple, clean video of excellent quality, but my favorite thing about it is how well you can see Emily Haines’ face as she performs. She is a serious artist, but an occasional hint of smile let’s you see how she is enjoying herself. It’s fun to watch. 7. (From Chapter 23) She fretted and dozed at the Reykjavik airport for more than five hours before her small plane finally took off into a cloud-filled night, with pockets of slightly warmer air causing it to bounce around mercilessly. Ariel turned on her trusty music, only to find herself listening to the old indie song “Love like Winter” by the San Francisco group AFI. It was good music, but it made her shiver in her seat as she held on tight to her armrest. She forced herself to search for a happy future premory, anything that would assure her that she would be alive in a week or two and need not worry. 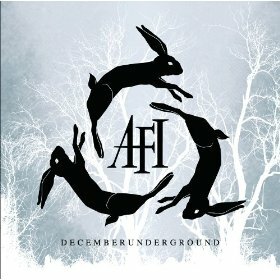 I used to think of AFI as a cold band, as reflected in their songs of winter and death, and I thought that “A Fire Inside” was an odd name for this group of musicians. Though I wasn’t a real fan, I found their music haunting and sometimes beautiful. I’ve never seen them perform. When their song “Love Like Winter” was the perfect selection for Ariel’s MP3 player in the scene above, I embraced their sound more and went searching for the best video link. I was so happy to find this one of a live performance at Lollapalooza Brasil in June of 2014. I love the passion of their performance, and the passion of the crowd as well, as they sing along and as the band includes them. I watched this video quite a few times, in fact, and liked it better each time. I now have to say, I think that “A Fire Inside” is the perfect name for these musicians. 8. (From Chapter 25) She decided to take Friday off work, and Eoin did not object. Every so often one finds a song that they really like the first time they hear it, and they still like it dozens if not hundreds of times later. 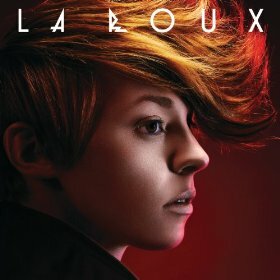 I’ve got a few of those, and La Roux’s “Bulletproof” is one. Why? It’s always hard to say. I’m a “words” person when it comes to music, and the lyrics to this one are just so clever. You’ve met this guy. You know this lady. You’ve seen the dynamics. But the infectious beat and sing along melody is part of what make it all work for me. This particular video from a live performance at the Isle Of Wight Festival in 2010 captures every bit of that. I can hardly keep from waving my arms along with the crowd while I watch. No, I can’t explain why, but I hope you enjoy it too. 9. (From Chapter 28) Ariel thought that the beautiful small Icelandic town of Seyðisfjörður would now always be one of her favorite places on Earth. As Toby’s rented speedboat made its way to the barren, snow covered docks in the deepening afternoon twilight, the many wooden buildings stood out in the remaining light, beaconing with the offer of comfort. “Dog Days are Over” makes my personal list of top ten favorite songs ever, and I smiled the entire time I wrote the scene of Ariel’s rescue and the comfort provided to her by this music. This professional video of a performance of the song was taken at the 2009 British musical event called “T4 on the Beach” and it does a wonderful job of showcasing lead singer Florence Welch. It also does a nice job of capturing the crowd and even the beach itself outside of Somerset, England. My favorite element is getting to see the almost clumsy energy of Florence as she puts her heart and soul into one of her signature songs, in spite of wearing shoes that were never meant for her to perform in. 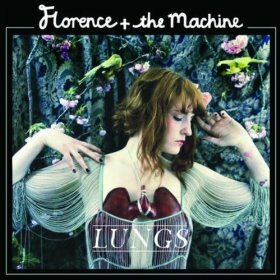 You can also listen to or buy Florence and the Machine’s “Dog Days are Over” at Amazon.